February & March is a great time to place your Tree Orders for several reasons. BIG SAVINGS FOR ORDERS PLACED IN FEBRUARY & MARCH. 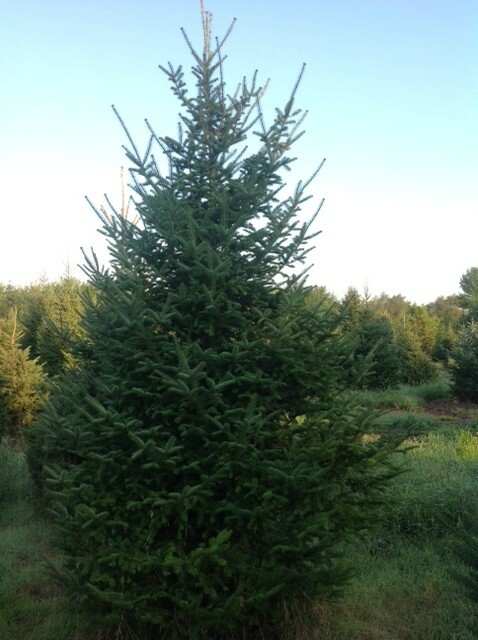 Arbor Hill Tree Farm is discounting 5 & 6 ft Colorado & Black Hills Spruce by $70.00 each. 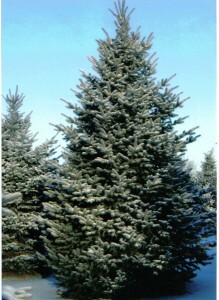 Also save $70.00 per tree on 6-9 ft White Pine, Balsam Fir & 3in. Diameter Autumn Blaze Maple Trees. 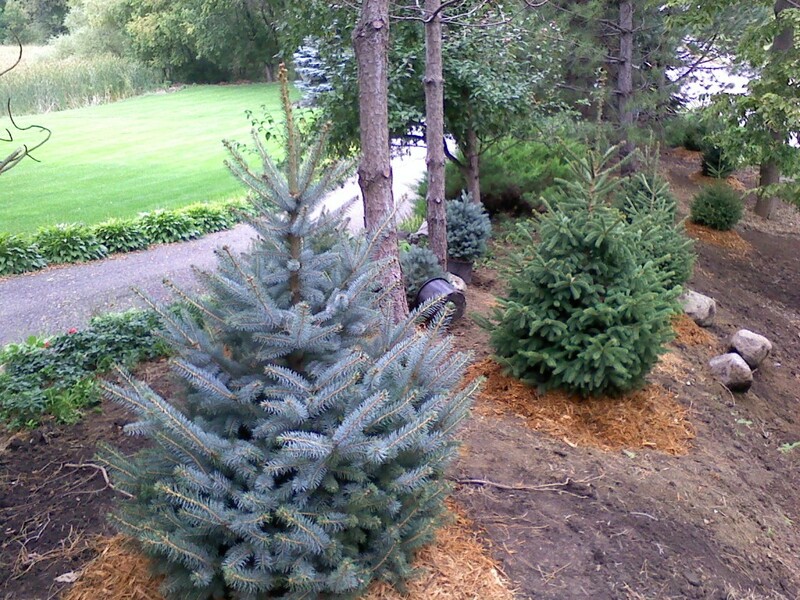 By placing your tree orders in February & March, you will get on our installation schedule & an early planting date. 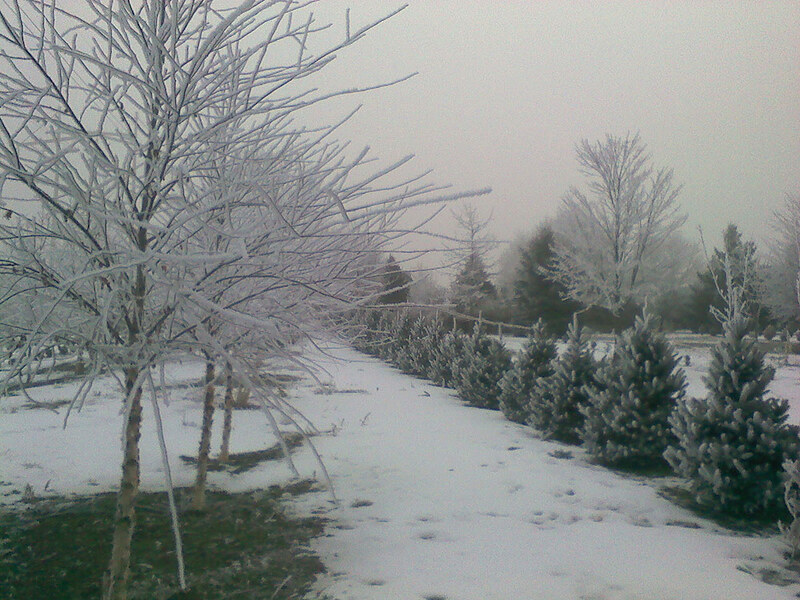 Many of our customers like to walk through our fields & hand pick the trees they want. Coming out early for the biggest selection of trees available. The mild winter & lack of snow has made walking through our fields to pick out trees pleasant & easy. WE ENCOURAGE YOU TO ORDER YOUR TREES NOW FOR THE BEST SAVINGS OF THE YEAR! Phone Orders-Place order now by contacting Jerry at 651-459-5026. Orders can be processed by e-mail or regular mail now & customers can come out at a later date to pick out trees. In Person- Please call ahead to set up an appointment to visit Arbor Hill Tree Farm. All orders require a 50% deposit. Payments method by cash or checks are preferred, but we do accept visa, discover & Mastercard. THIS OFFER EXPIRES 4-1-2012. 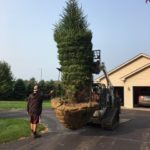 Arbor Hill Tree Farm will be at the Minneapolis Home & Garden Show at the Minneapolis Convention Center from February 29th till March 4th. We will be at booth 1244. Please stop by and see us. This past weekend was a great opportunity to get out and enjoy some beautiful scenery made by nature. The warm days have melted the little snow we have, adding moisture to the air. 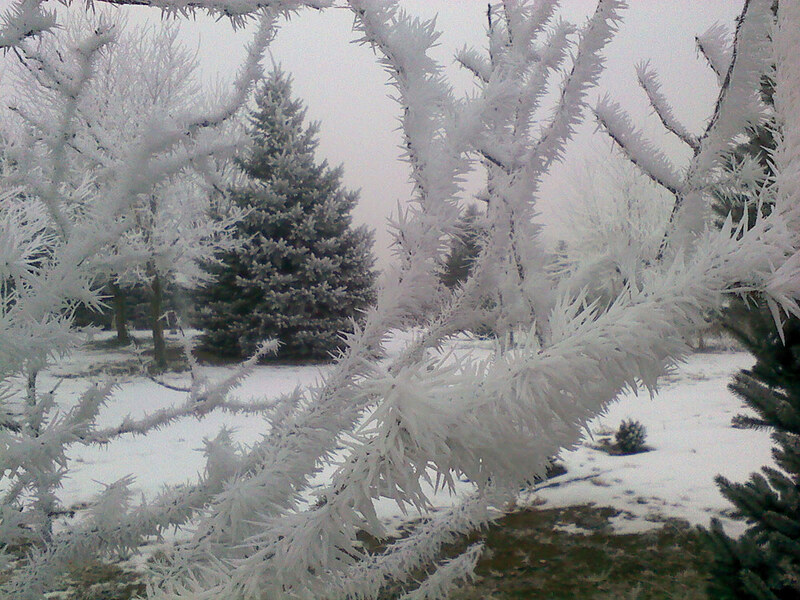 The mild nights & lack of wind made conditions ideal for frost to form on the trees. Close up it appeared as though the trees were growing fur. I think the moisture in general should be beneficial to the trees, given the lack of moisture we had going into winter. I walked through our fields at Arbor Hill Tree Farm & took several pictures. You can see them by clicking on the images on the right side of the page. Imprelis is a chemical manufactured by DuPont. It was used by lawn maintenance companies for broadleaf weed control in lawns or turf.Unfortunately Imprelis has proven to be very toxic to trees, particularly evergreen trees. Thousands of trees have been affected by the chemical. 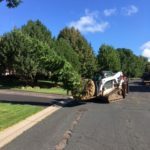 Many of the trees have either died or are damaged enough that they will also need to be replaced. 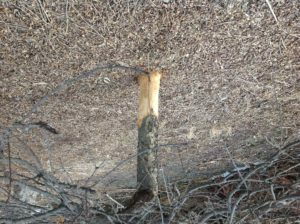 Arbor Hill Tree Farm has had many inquiries about replacement of trees damaged by Imprelis. We have a large inventory of many sizes and varieties of evergreens growing in our fields. 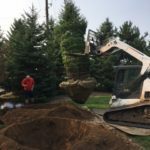 Typically we burlapp evergreen trees from 4-12 feet tall. This size of tree can be planted using out ASV. 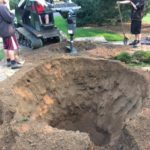 This machine is approximately 5 feet wide, so we can get into an area that has limited access.The ASV is equipped with a smooth rubber track , so it is very turf friendly during the tree installation process. 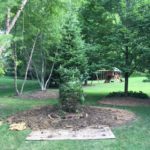 Evergreen trees 13 feet & larger usually require a much larger root ball, so for that size tree we use a truck mounted tree spade. Due to the large size of this equipment, we are limited to where we can plant this size tree. Both the methods of planting trees we use can viewed by going to our Installations Methods web page. 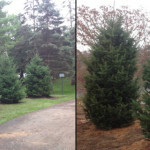 Please contact Jerry at Arbor Hill Tree Farm for specific information on your particular site. 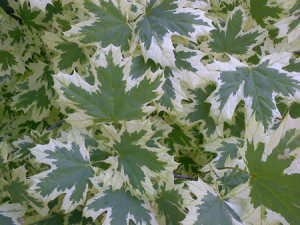 This entry was posted in Tree Care Tips on January 20, 2012 by admin. The holidays are behind us and a new year has begun. Just like alot of the U.S., Minnesota is having an extremely mild winter. I think the warm temperatures we are experiencing will help the trees in general weather the winter better given the lack of moisture we had in the fall of 2011. When we have an extremely dry fall followed by a winter without much snow cover the frost tends to go much deeper and that is harsher on trees. Hopefully by spring we will get out of this dry spell and back to some normal precipitation conditions. Given the mild conditions, now is a great time to get out and do the pruning on your trees that you did not get done in the fall. The general rule for timing of pruning is if the month has an “R” in the spelling it is safe to prune. With the leaves off the shade trees, it is also easier to see the actual branching of the tree to make your decisions what to prune off. Of course it is never too early to start thinking about and planning your spring tree planting projects. 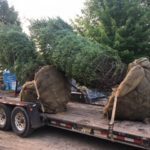 We have alot of information on our website about the trees we grow for sale at Arbor Hill Tree Farm as well as the services we offer to help you with your project. We will also be an exhibitor at the Minneapolis Home and Garden Show at the Minneapolis Convention Center that takes place Feb. 29 – March 4th. We will be at booth 1244, so plan on stopping by to see us. 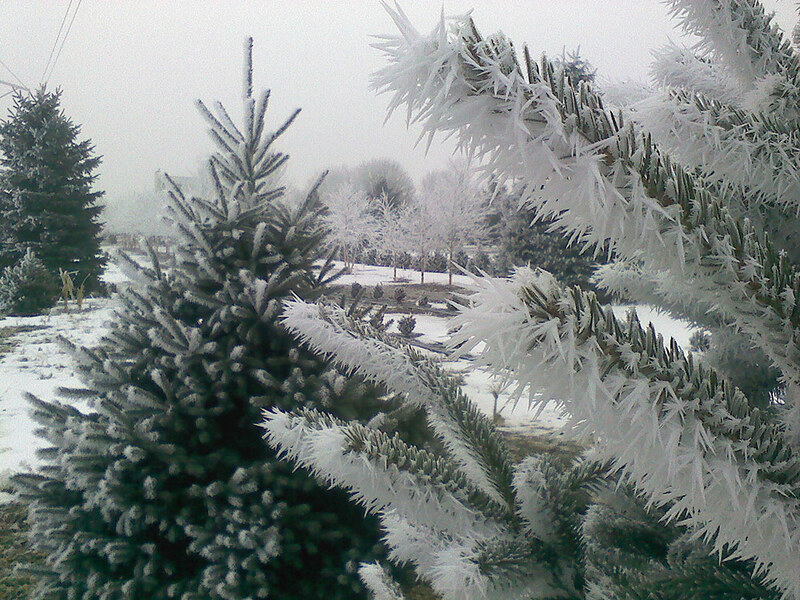 This entry was posted in Tree Care Tips on January 9, 2012 by admin. It’s Christmas time at Arbor Hill Tree Farm! 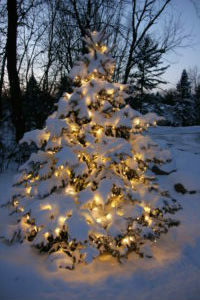 Christmas tree sales are well under way and now with snow on the ground, it’s beginning to look a lot like Christmas! 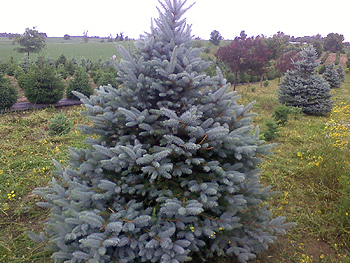 We are selling Fraser Fir Christmas Trees ranging from 6 feet to 10 feet with prices starting at $59. 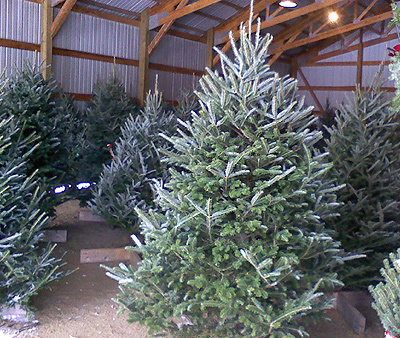 We have transformed our pole barn into the “North Pole Barn,” where we are selling the trees! The enclosed structures helps to keep the snow off the trees and makes the adventure of picking out the perfect tree a little more comfortable for our visitors. As people walk through the rows of trees they can enjoy the rich smell of the Frasers and hear the sounds of the season as Christmas music plays on our stereo. 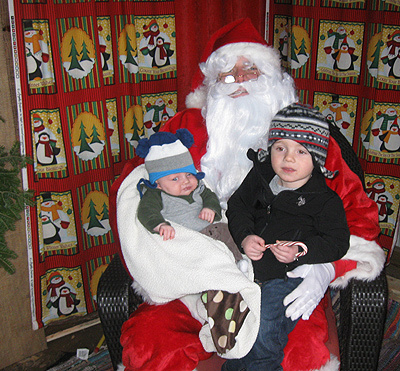 The main attraction every Saturday in the “North Pole Barn,” however, has been Santa Claus! Santa arrived the Saturday after Thanksgiving and although it was wet and mucky outside he still had some young wide-eyed visitors who shared their magical Christmas wishes with him. Santa came back last Saturday and saw even more youngsters eager to get a chance to meet with the big guy. Although he’s very busy, Santa will return one last time this Saturday, December 10, from 11am-3pm. Parents are encouraged to bring their cameras to capture the special moments. Hot cider and cookies are also provided on Saturdays to satisfy your sweet tooth and keep your soul just a littlebit warmer! We’ve been having a lot of fun out here at the tree farm now that Christmas has fallen upon us! We’ve worked hard to make your Christmas Tree shopping experience as enjoyable as possible; along with the Christmas trees in the “North Pole Barn” we are also selling Christmas Wreaths, door sprays, mini living Christmas trees, and evergreen center pieces. So come out and see us and start a new Christmas tradition for you and your family! This entry was posted in At The Farm on December 6, 2011 by admin.